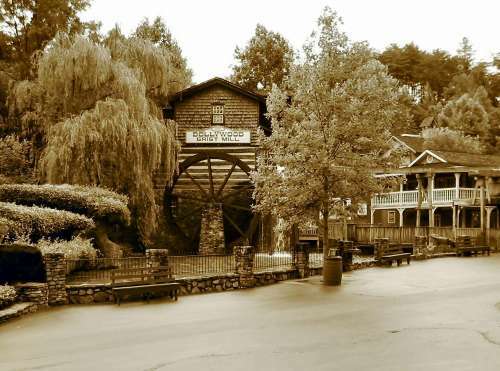 This phot was taken after a rain storm that left the park empty. the layout and style of the buildings gave it an outime fell that color just did not capture. I like the way the trees frame the mill. I also like the antique look of the picture. The only improvement I see is to crop the sidewalk out. Otherwise it is a great picture.